How do you train in Atlanta for a high-altitude race? I tried an elevation mask. 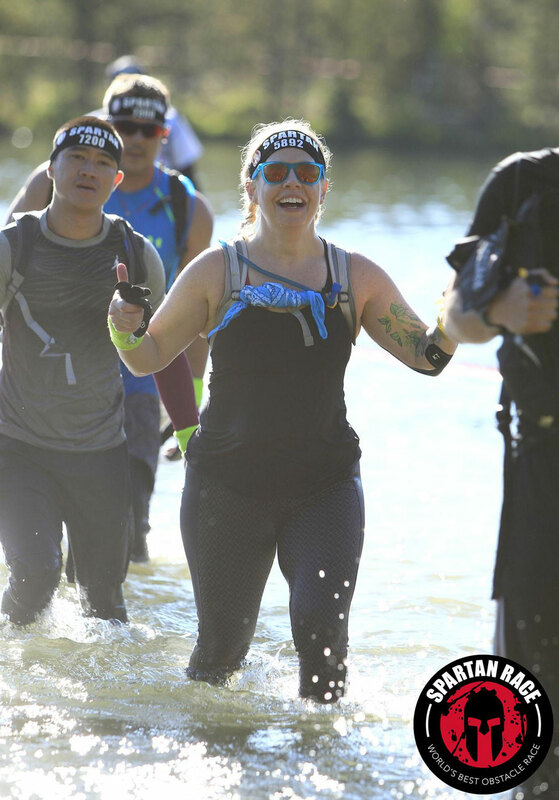 The jury is still out on whether or not these masks actually help, but it seemed to give me at least a little bit of a boost during the Spartan Beast in Colorado. That’s me in the center, finally crossing the finish line of the Spartan Beast in Breckenridge, Colorado. I felt like throwing up as I stumbled uphill over rocks and roots. It was the second hour (or the was it the third or the fourth? Who could be sure at that point?) 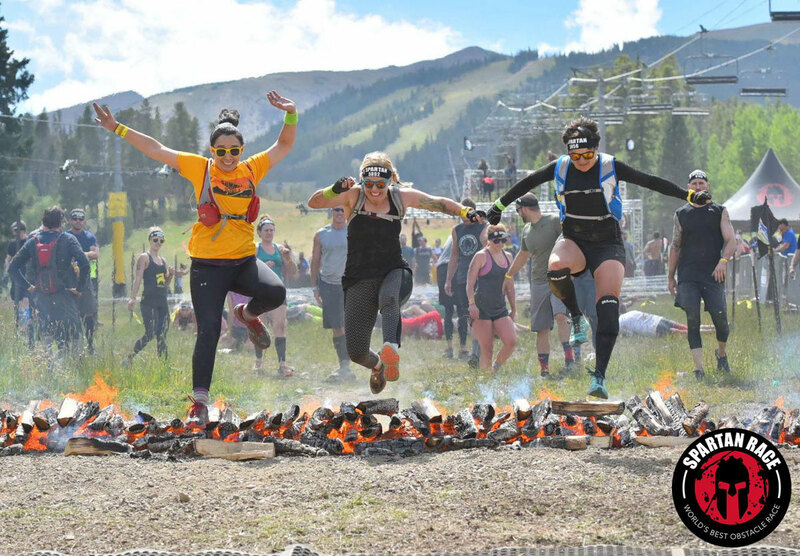 of the 5 and a half hours I would spend running the Spartan Beast, a 13.5-mile, 30-obstacle trail race that went from 9,000 feet to 13,000 feet of elevation in Breckenridge, Colorado. It had been my idea to do this. 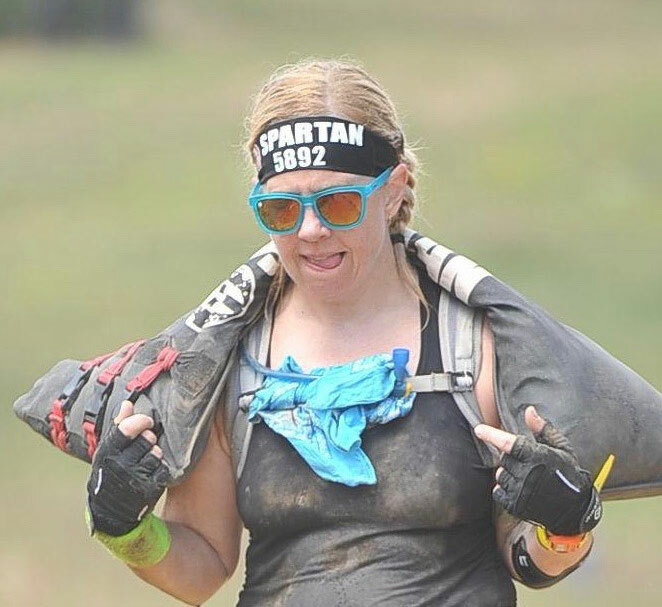 I’d previously competed in a shorter version in Atlanta, an 8-mile slog known as the Spartan Super, and had felt surprisingly fresh as I’d jogged to the finish. At the time it made sense to go to the next level of obstacle-course racing, and why not do it somewhere picturesque and farther from sea level? So, well in advance of the August 26 race, I signed up and convinced two friends to join me. I trained in Atlanta (elevation: 1,050 feet) looking like Bane from The Dark Knight Rises in the elevation mask I’d bought for $40 online. The low price wasn’t the only clue that it was a knock-off. The Velcro didn’t stick and the box inexplicably said “SPORTS MARSK” and “Enjoy Your Self” alongside a flaming tulip and a car speedometer with the needle at 100 mph. I used a binder clip and a bandana to make the thing stay put. One nozzle was broken, allowing only a tiny bit of air to wheeze through. I figured that was a good thing, giving me Everest-levels of low oxygen, and might make Colorado feel a little bit easier. Athletes of all calibers have been doing altitude training for years, sometimes to prepare for high-elevation events but often just because they think it will lead to stronger endurance, better breathing technique, more efficient oxygen storage, and faster recovery. Conor McGregor did it before his fight with Floyd Mayweather in Las Vegas, where the elevation is just 2,000 feet (though we know how well that turned out for him). The lower concentration of oxygen in high altitude can boost VO2 max, which is the body’s ability to use oxygen, and is known to affect the EPO hormone that regulates red blood cell production. More red blood cells send more oxygen to the muscles, which can lead to better endurance. Some trainers say the mask can deliver these benefits, but others say that’s bunk, and that it doesn’t lower the concentration of oxygen in the air, the way altitude does — it just lowers the amount of air you breathe. The best way to prepare for high elevation would be to sleep in a lower-oxygen tent, they say, or even to sleep with the mask on. I didn’t know that when I bought it, and so I insisted on wearing it as I powered through my training at Brad Kolowich Jr.’s studio on the Westside. 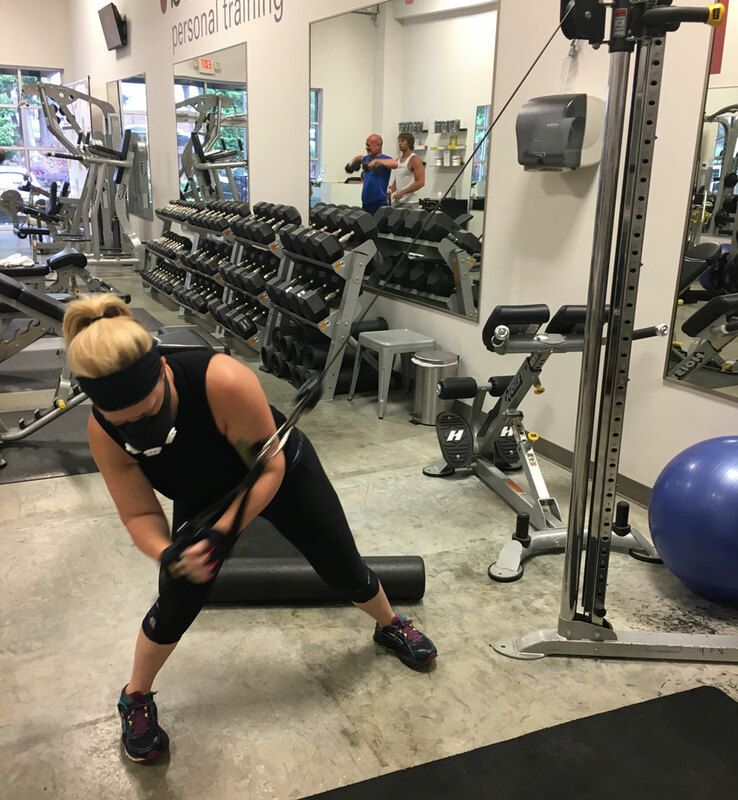 My trainer put me through 30- to 60-minute high-intensity sweat sessions. 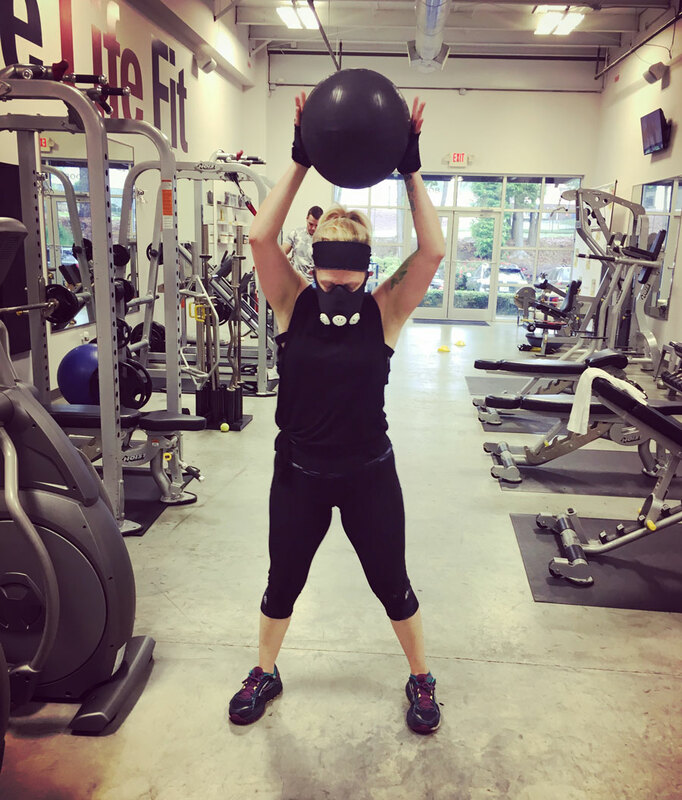 I lifted heavy weight, pushed sleds, squatted, ran, and tried to pull off a good pull-up, all while huffing and puffing through the mask. Then it was time to travel to Colorado. We planned to get there two days before the race to give us time to acclimate. For that first 48 hours I was a little bit woozy from the 9,000-foot elevation in Breckenridge, and I was a bit more out of breath during a hike than I might otherwise be, but overall I felt good. When it was time for the race, everything changed. The first section of the event took us entirely uphill, which had my lungs screaming from the start. It got tougher from there—heaving a cement ball, lugging a bucket full of gravel, scaling walls. As the elevation got more and more serious—10,000 feet, then 11,000 feet, then 12,000 feet, then 13,000 feet—I panted even while walking. Lactic acid burned in my legs; they felt cashed even before I was halfway done with the race. I somehow developed a chest cold on the course. I failed one obstacle after another, with a 30-burpee penalty for each. But for every obstacle I blew, there was an inverted wall I could get over with just a small boost. Or a river crossing I had the fortitude to complete, even with cold water that was chest-high. Or a cargo net I could climb. Or a heavy sled I could pull. I army-crawled on top of rocks and sticks and under barbed wire, jumped over a fire, then crossed the finish line. So who’s to say the mask didn’t do its job?